4 soupes miso+ 4 salades de choux . 6 californien avocat saumon, 6 californien thon mayo avocat concombre, 4 Nigiri saumon, 4 Nigiri thon, 4 Nigiri crevette, 4 Maki saumon, 4 Maki thon, 4 Maki avocat, 4 Maki concombre, 4 Sashimi saumon, 4 Sashimi thon, 4 FutoMaki, 4 Gunkan saumon, 4 Gunkan thon. 4 soupes miso+ 4 salades de choux. 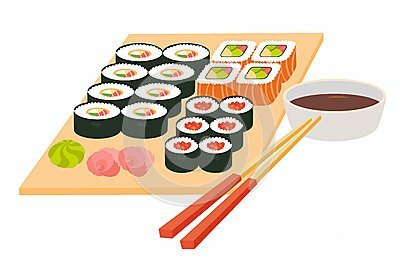 6 Maki cheese, 6 Maki thon mayo, 6 Maki corail cheese, 6 Maki corail, 6 Spring Roll avocat saumon, 6 Maki Bulle thon cheese, 6 californien avocat crabe, 6 cali corail avocat concombre, 4 Futomaki, 4 Nigiri saumon, 4 Nigiri avocat.